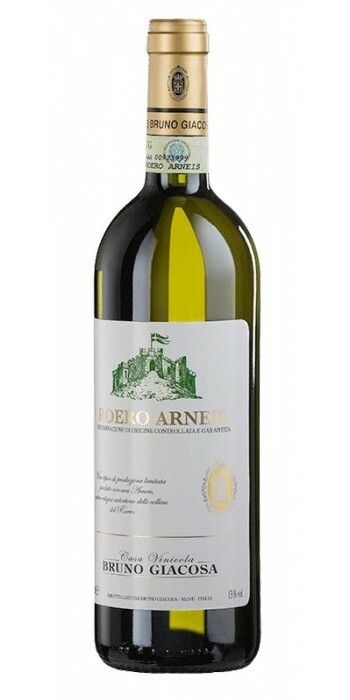 The 2016 Roero Arneis was bottled on Saint Valentine's Day and that's a fitting touch. Some 140,000 bottles were made, which is more than average. This is a fresh and buoyant wine that is loaded with tangy tropical fruit, pineapple and honeydew melon. The wine's intensity is exuberant, pronounced and refreshing. Dustings of fine mineral and salty limestone characteristics give the wine a brilliant sense of polish and crispness. Bruna Giacosa tells me the fruit harvested in 2016 was beautiful. She distinctly remembers the perfumes of the Arneis grapes as they came into the winery on the back of a truck during harvest. This is a beautiful white wine.